Modern Retail was delighted to join a Roundtable of independent retailers and industry experts in London last week, hosted by Dax Dasilva, CEO of Lightspeed, the omnichannel EPOS platform designed for indie retailers. The evening provided a fantastic opportunity to discuss the challenges faced by a range of very distinct retail businesses – beauty, cycling, fashion and accessories were all represented – and yet many common themes kept cropping up that clearly impact on all independent retailers, irrespective of their market sector. When asked to shed light on some of the issues that they have faced as retailers, several common themes arose. As retail business owners, all stood well-placed to comment on one recurring theme that will have a major impact on the success of any business – it’s staff. Pamela Marshall of Mortar & Milk, a high-end beauty retail & bespoke skin treatment clinic in Fulham, highlighted the need to find staff who are able to truly reflect their brand. In her and husband Nick’s business, where it’s vital to be both knowledgeable about the science of skin and also able to provide excellent customer service to a demanding clientele, quality staff is a must. Similarly, Pamela acknowledged that, as a business owner, it’s really important to “let go” and entrust your employees with the responsibility of taking on many of the day-to-day duties of running a store, especially when she herself can be occupied in the treatment room for many hours a day. Simon England, of The London Cycle Workshop, whose bicycle repair business has a similar need for a specialist expertise at its core, agreed. Simon has to rely on his staff to act as ambassadors for his brand in every bit of servicing or repair they do for each customer who comes into one of his two stores. It’s vital that employees are aware of the need for the excellent service that is so critical in building the loyalty that generates repeated custom. And, Simon admits, this has gradually become easier since he opened in 2010, with his staff rewarding his faith in them with great performance in-store. Beyond the challenges and rewards of getting staffing right, a common difficulty facing these four London-based retailers is the expense, scarcity and competitive nature of the capital’s commercial property market. All suggested they had encountered many obstacles in choosing the right bricks-and-mortar locations for their businesses. 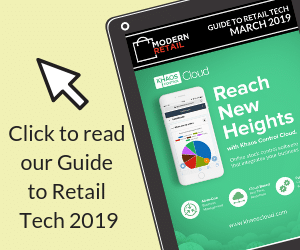 Howard Harrison, CEO of tech-friendly bags retailer Knomo, spoke of the difficulties presented by the highly-competitive London property market, where high-end retail spaces demand exorbitant over-market value rent, long-term tenancies and huge up-front deposits. Unfortunately, this seems to be an almost unavoidable issue for retailers aiming to target high-end consumers and who need to showcase their brand in a location that befits its market. Fashion designer Charlotte Zimbehl has found this a significant challenge for her label that specialises in luxury coats & jackets. Fortunately, Charlotte has utilised her creativity and taken advantage of the burgeoning London pop-up retail market. With a combination of good research and hard work, she has been able to showcase her garments in various pop-up locations that combine the low-commitment benefits of short-term lets with the almost viral interest that pop-ups can generate. And sometimes you just need a bit of luck – Simon admits that winning a location for one of his stores depended solely on the personal preference of his landlord, who wanted to avoid yet another cafe in his street at all costs! Far from being a pessimistic evening where retailers dwelled on the problems they faced on today’s high street, Lightspeed’s roundtable pleasantly surprised in being a genuine celebration of the many successes enjoyed by those retailers in the room – whether established global brands, or relatively new local businesses. So what helps these independents to stand out from their larger high-street competitors? All agreed that a combination of great customer service and customer experience are the key ingredients. For The London Cycle Workshop, that can mean going the extra mile in order to win a customer over. Simon maintains that “any mechanical problem on a bike can be fixed”, and that has meant sometimes spending an unprofitable amount of time on a customer repair to live up to that promise. What it does mean, however, is the customer ends up delighted with a great outcome, which not only keeps them coming back, but also leads to more word-of-mouth referrals. Pamela & Nick are firm believers that a great customer experience is their USP too. In an area of London where many clients are dog-lovers (and Battersea’s famous home is not a million miles away), Mortar & Milk have an open door policy for their canine customers, with water bowls and dog-friendly sofas laid out. At Christmas, spotting the opportunity to maximise last-minute gift trade, they went above and beyond to ensure products were gift-wrapped exquisitely – again heightening that customer experience. On an evening where a true entrepreneurial spirit was on display in the room, there were several words of advice from these successful independent retailers. An idea that rang true with many was the need to avoid procrastination whenever possible. While taking unnecessary risks should of course be avoided, all argued that taking decisive action was an important step forward on the road to success. The need to employ great staff was highlighted once again, and another tip was to seek the help of experts wherever possible, whether through mentoring or by outsourcing tasks beyond the business owners’ area of expertise. Taking a genuine enjoyment in running a business was also a clear characteristic of those present. As Howard put it, it’s crucial to “enjoy the journey” of business and not stay too focussed on the potential destination or end goal. Seeing the problems in your business as challenges that you can enjoy solving, rather than insurmountable obstacles, can be a mindset shift that allows owners to celebrate every little achievement throughout their business journey. It was great to see such diverse businesses all having one thing in common – passionate owners looking to drive their enterprises forward, and extremely refreshing to see a genuine interest in their independent retailer clients from the host, Lightspeed. The fact that indie retail took centre stage on an evening where discussion of Lightspeed’s EPOS technology could have been at the top of the agenda reflected very well on a company that clearly has its customers’ success at the forefront of its strategy.